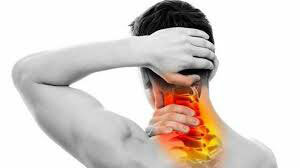 As far as head and neck pain goes, there is a wide array of causes, types, locations and severities. Of all the different classifications of head and neck pain one can experience headaches, torticollis, whiplash associated disorder and degenerative joint disease are some of the more common and often treated conditions. There are some overlapping similarities between these groupings but there are enough differences to classify them in a group of their own. Each of the three has unique symptomatology which classifies differently from the others. More importantly is that chiropractic care is safe and effective in relieving the frequency, intensity and duration of these headaches without the use of drugs or surgery. This is a condition characterized by spasmodic muscles of the neck often causing a decrease in motion of the neck and when severe enough can radiate pain down the arm or up into the head. Chiropractic adjustment along with soft tissue therapy can reduce relax the affected musculature and maintain the normal motion of the cervical spine. WAD is caused from a traumatic injury, most commonly a motor vehicle accident and has 4 different classifications based on the severity of the symptoms. Problems that may arise from WAD are strained musculature, sprained ligaments, paraspinal tenderness and when more severe fracture or neurological deficits. Chiropractic adjustment and techniques are effective in restoring the normal function, promoting proper healing and restoration of damaged structures. DJD is the thinning or erosion of joints spaces. If detected at an early stage, chiropractic techniques are very effective at slowing down the progression of DJD. When DJD becomes severe it can lead to osteoarthritic pain, reduction of range of motion of the cervical spine and cervical foraminal stenosis which can impinge on nerve roots exiting through intervertebral foramen.